Windows Live Messenger seems to have a mind of its own. 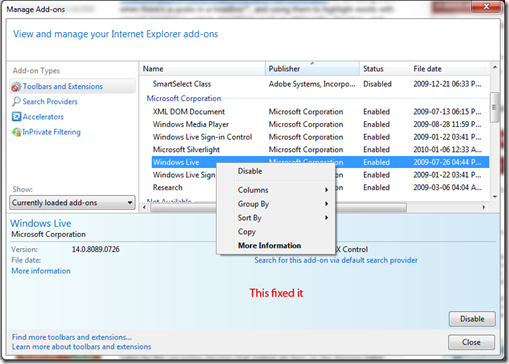 When using Internet Explorer 8 to go to Windows Live™ websites, it may start by itself. 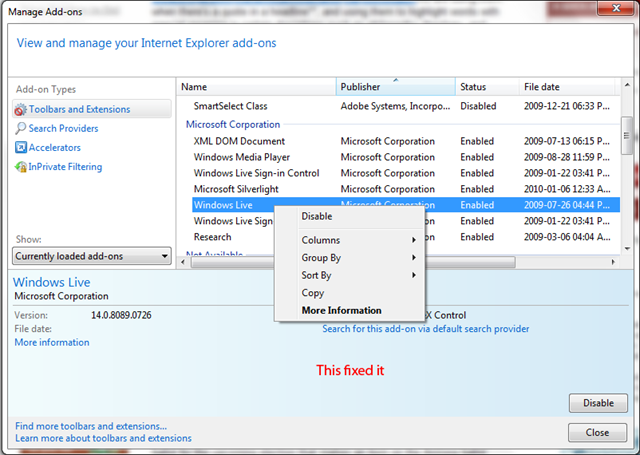 Particularly, I’ve noticed that it pops up in the taskbar when visiting Windows Live Hotmail and Spaces. I tried unchecking “Automatically run Windows Live Messenger when I log on to Windows,” and restarted, but that didn’t help. I also tried unchecking “Open Windows Live Messenger when I click a link on a webpage that tries to interact with Windows Live Messenger,” and restarted, but that still didn’t help. It turns out, this is a “feature”. The good news is it can be disabled from Internet Explorer. Run Internet Explorer 8. 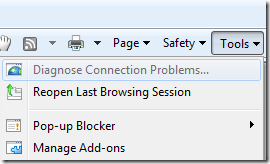 Click on the Tools drop-down menu, and click Manage Add-ons. Find the Windows Live Add-on. Right click on it, and click Disable. 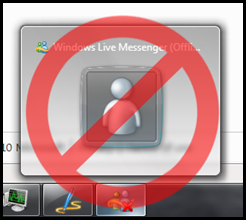 That should stop Windows Live Messenger from starting in the background. Vista: Your User Profile Was Not Loaded Correctly!